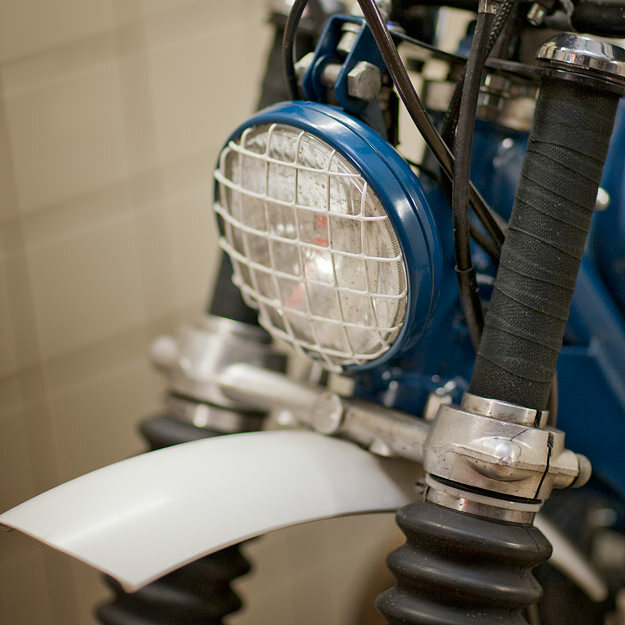 It was only three years ago that Fred Jourden and Hugo Jezegabel started Blitz Motorcycles. 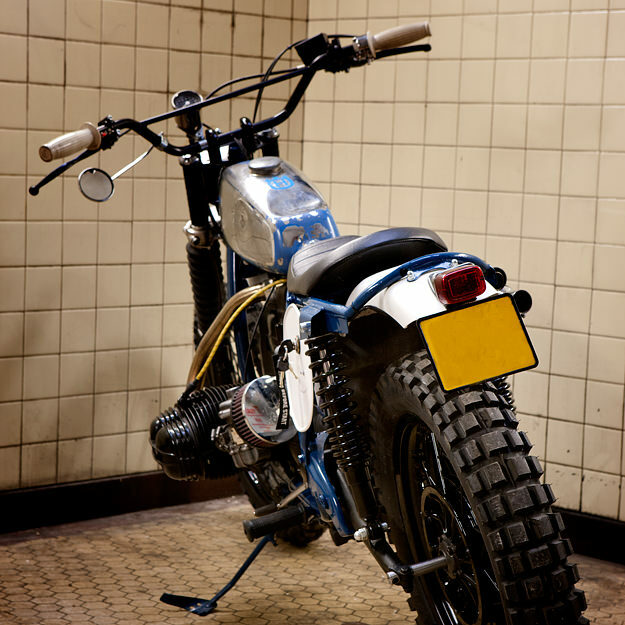 But the Paris-based workshop is now one of the biggest names on the European new wave custom scene, thanks to a string of unconventional ‘old timer’ customs. This is Blitz’ latest build, christened ‘GSky.’ It’s an offroader based on a 1976 BMW R75/6, a bike that offered 745cc and 50hp in stock form. Which might not sound like much, but at 462 lbs. 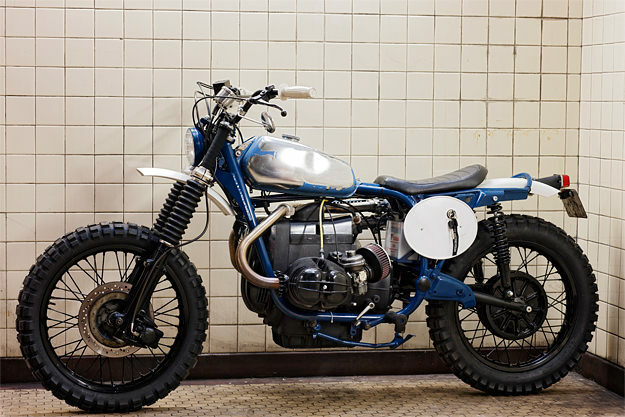 with a full tank, an R75/6 weighs 90 lbs. less than a current model Harley Sportster 883. The finish of GSky, predominately blue, looks raw at first glance but serious thought has gone into this machine. 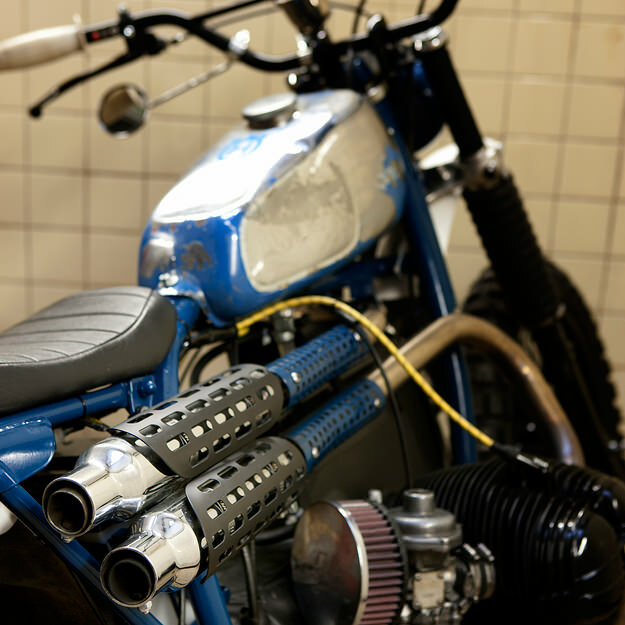 After a thorough overhaul—including the suspension—the R75/6 frame was shortened and 4-centimeter taller shocks fitted. The frame has also been powdercoated and the bike rewired with updated electrics. 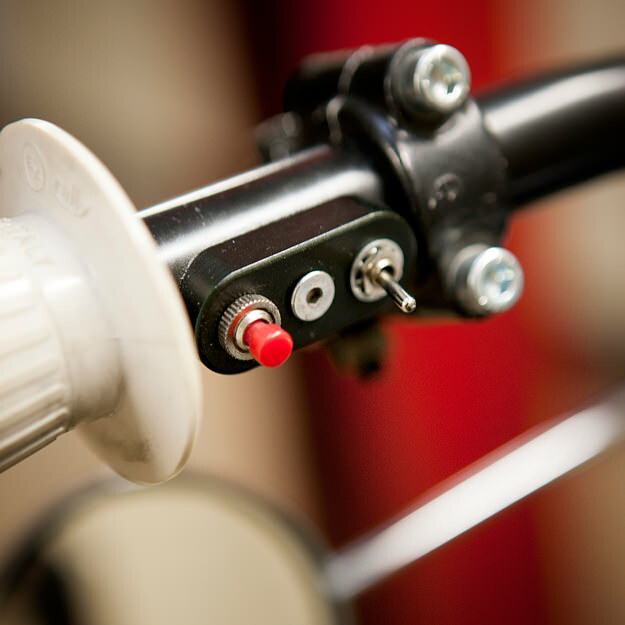 A dual ignition coil is now hidden under the custom seat unit. The Bing carburetors now breathe through pancake-style K&N motocross filters; the upswept exhaust system is custom fabricated, and fitted with grilles for heat protection. (“It works,” says Jourden.) Tires are Pirelli motocross rubber. 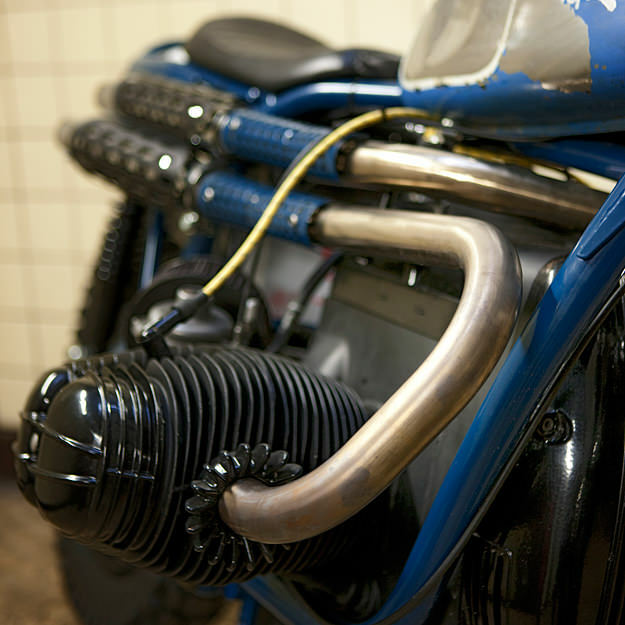 The bars and throttle are Tomaselli, and a rebuilt Japanese vintage brake cylinder was fitted, hooked up to new hoses. The head- and taillights are also vintage, and the choke knob is stolen from an old Bang & Olufsen hifi system. It shouldn’t work, but somehow it does. And it looks like a lot of fun to ride. Head over to the Blitz website to see more of Fred and Hugo’s builds. And follow the news from Paris via the Blitz Facebook page. Images courtesy of Denis Boussard.